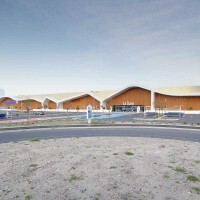 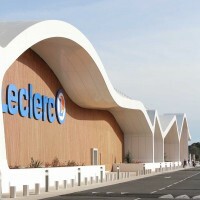 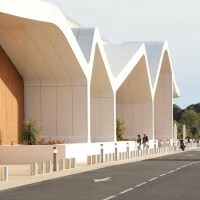 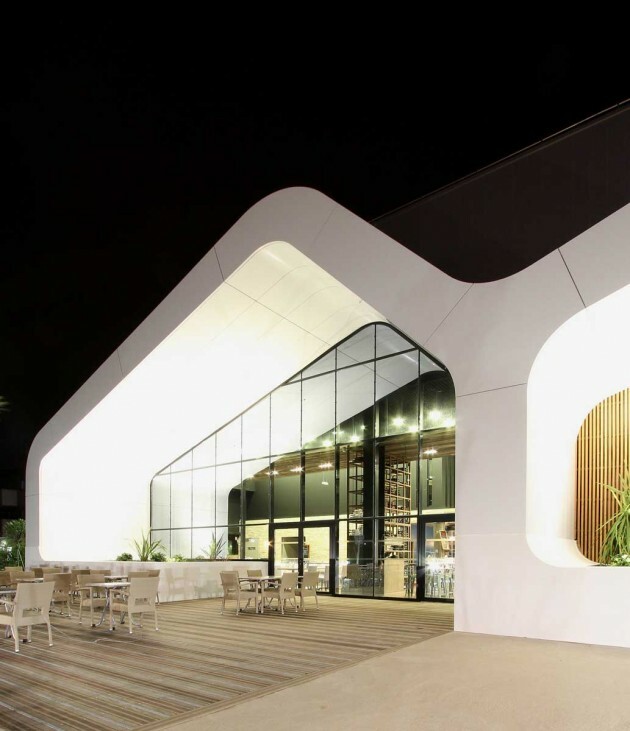 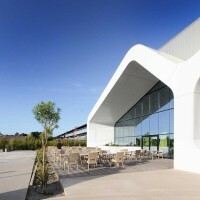 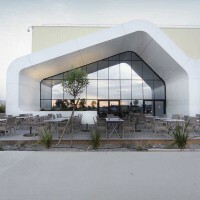 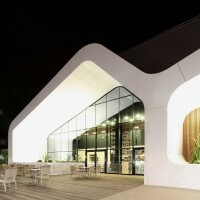 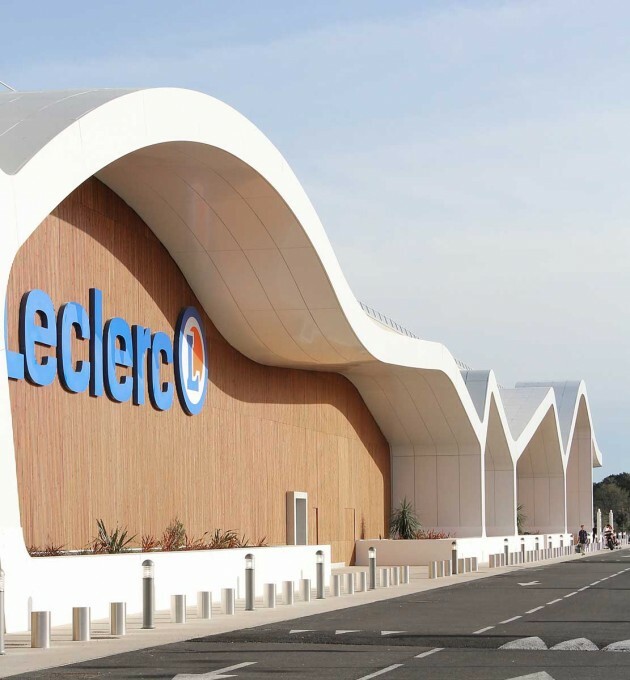 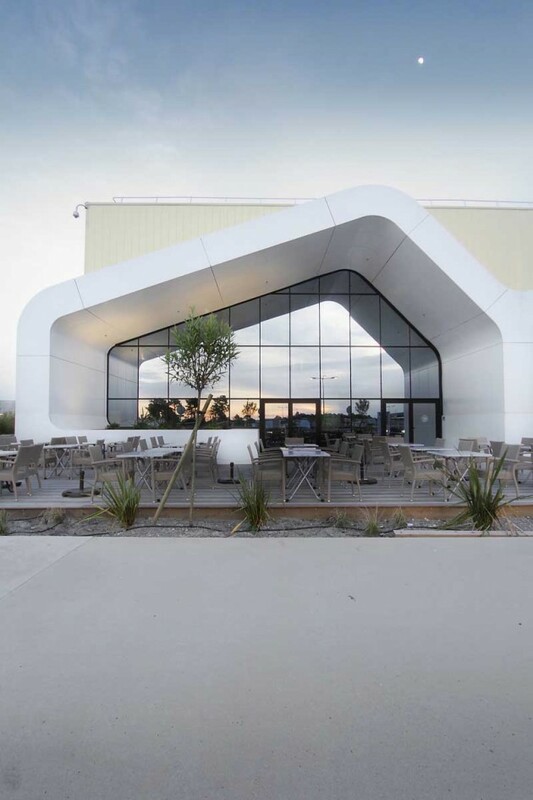 Atelier REC have designed a shopping centre in La Teste-de-Buch, France that features a white wavy facade. 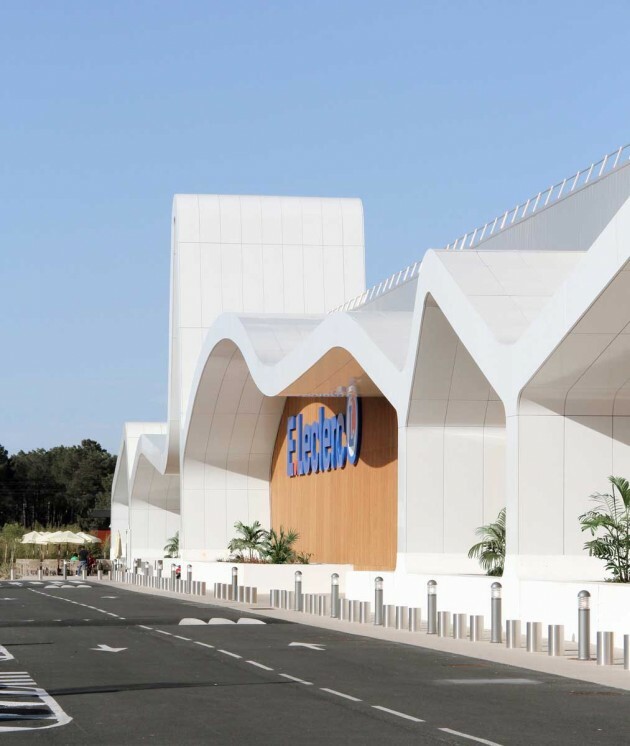 “To break traditional and routine concepts of building ” This will to conceive the shopping centre of tomorrow has led us to think of an environmental place of strong energetic economy allied with comfort and aestheticism. 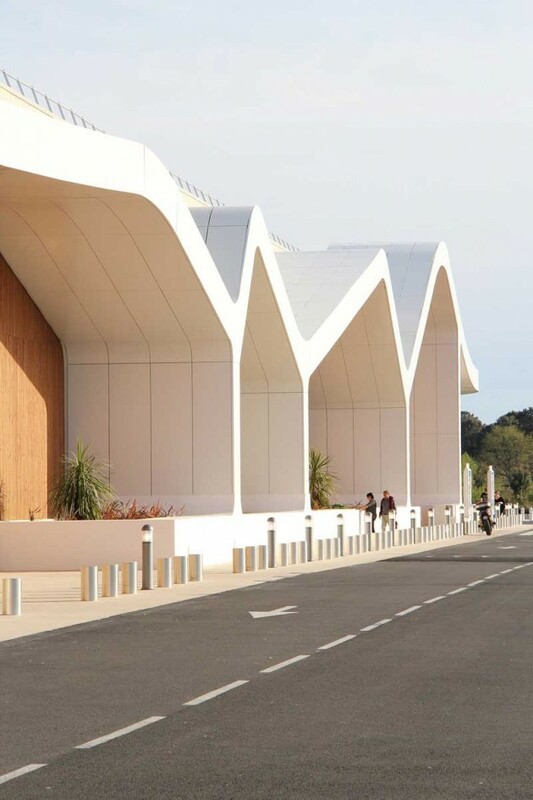 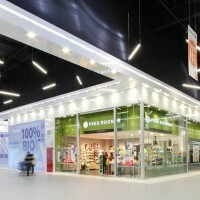 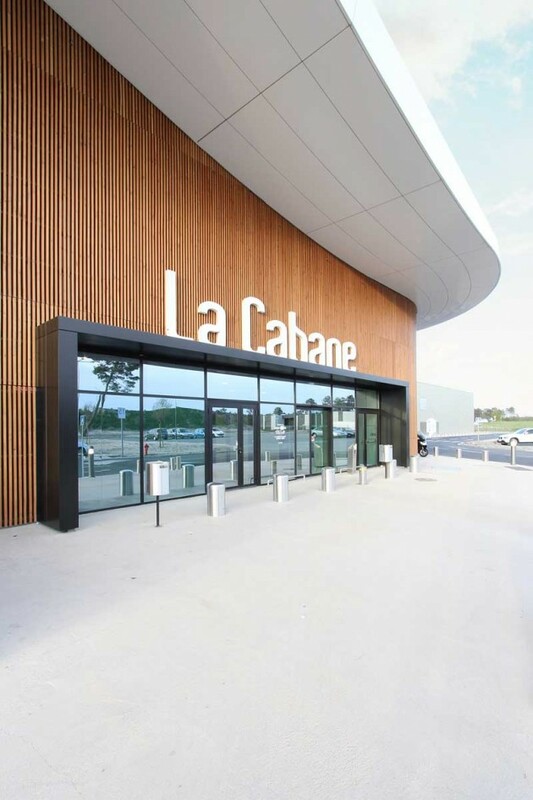 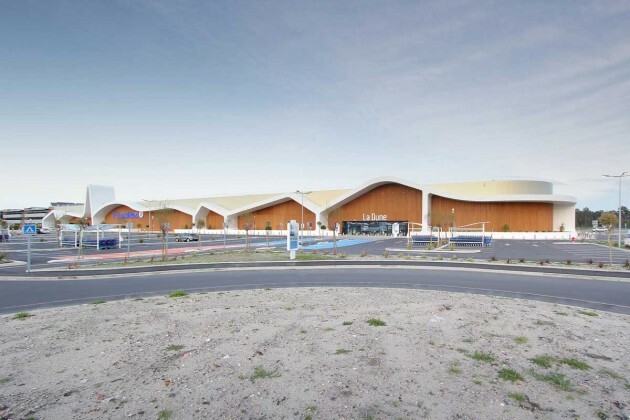 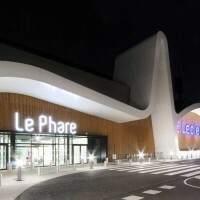 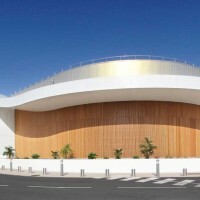 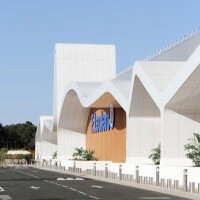 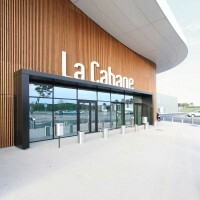 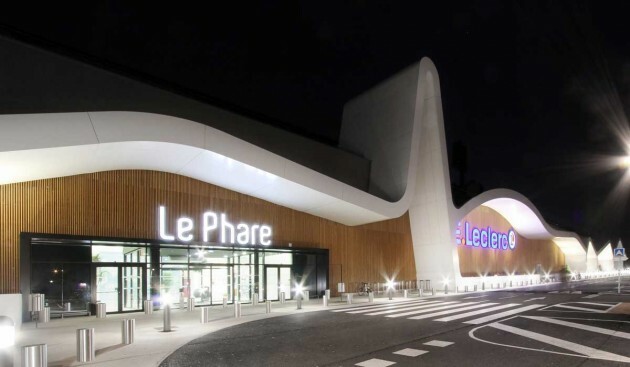 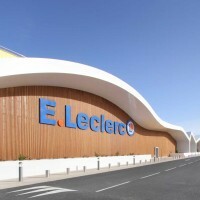 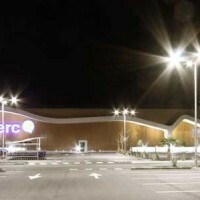 The future shopping centre of La Teste de Buch will be classified as low consumption building, enhancing low impact CO2 materials it is in tune with the Arcachon esthetics. 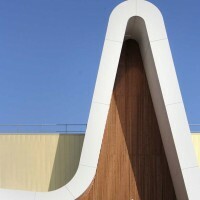 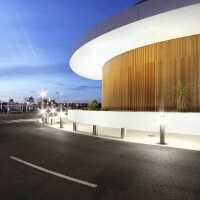 The white wave in the main facade recalls the picture of a sheer modern plan in curved the local context. 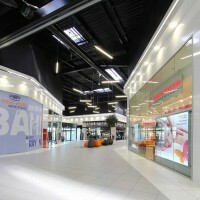 0 % waste, 30 % reduction of energy consumption, a division into 4 from gas rejections to greenhouse effect; here are some figures which sum up this new shopping centre and in particular this brand new shopping centre of the XXIth century.